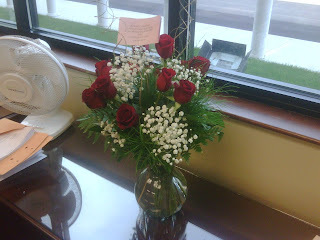 daniel sent me flowers at work today because he "was thinking about me and wished he was home with me". Yes! My computer opened up a thousand explorers the other day, I had to shut down. Thank goodness it happened to someone else!! 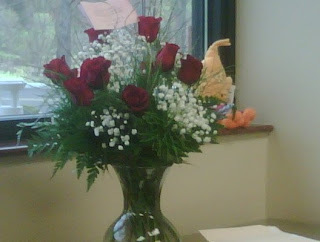 Beautiful flowers and what a great fella!